Switzerland is a beautiful country, with rolling hills blending into majestic, wild mountains. The farmland is fertile and the climate in the lowlands is temperate, dotted with clear lakes and glacier-fed rivers. And with such mountains surrounding the country, the passes become strategic. Put all of these features together in an area, and you have the perfect location for a conquering nation to establish a colony. 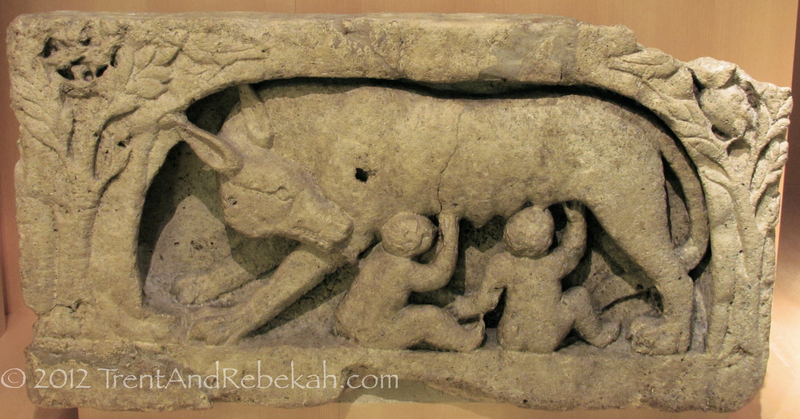 Around 500 BC, a tribe of Celts, the Helvetii, settled in Switzerland. In 58 BC, a young, upwardly-mobile Roman general named Julius Caesar conquered the Helvetii and absorbed the tribe into the empire. As germanic tribes invaded Helvetica and began posing a threat to this northern territory, Augustus Caesar (27-14 BC) sent the Helvetians back home to defend the borders. A city was established named Aventicum (after the goddess Aventica), which expanded as Tiberius (14-37 AD) sent more support to the northern borders. The city thrived and swelled with a population of around 20,000 under Claudius (41-54 BC), who established a trade route through the area. Tacitus tells us it was the capital of Helvetica in 69 AD, thanks to Vespasian, who grew up in Aventicum and made it a Roman colony. 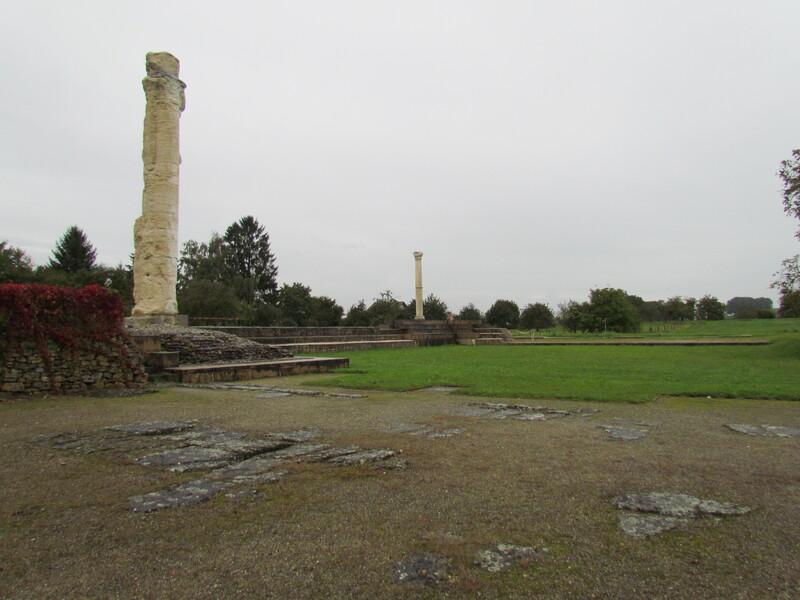 This was a typical Roman city, with all the normal features: two theaters, baths, an imperial cult temple, a temple to Mercury, a forum, a geometric residential area, aqueducts–all tucked behind a protective Roman wall featuring 73 watchtowers. Gladiators fought in the amphitheater against each other, bears, wolves, and lynxes. People lived and died, their families building memorials to the dead. All the difference was, instead of building with glistening marble, they mostly used native limestone and Bündner schist (black rock with white quartz found in the Alpine region). When Rome fell, Germanic tribes moved in. 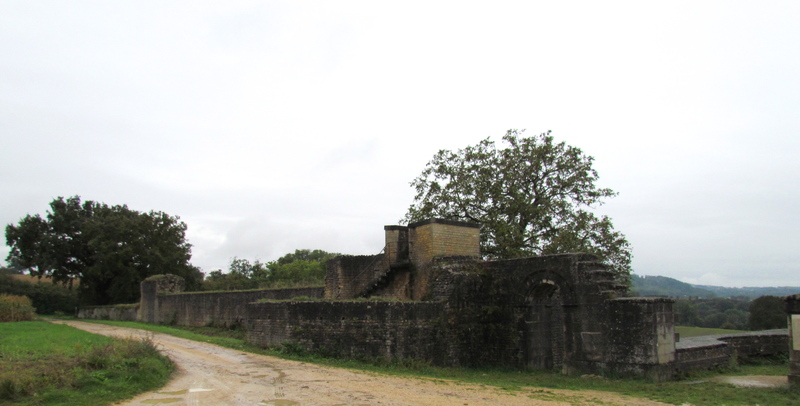 The walls were repaired in Medieval times and more towers were built. Eventually, the Latin name took on a French flavor and became Avenches. Today, it is about 1 1/2 hours from Bern. The ruins are open to the public and the artifacts are displayed in the Medieval tower-turned-museum that overlooks the amphitheater. Thus, on a drizzly, cloudy day, we took a train and found ourselves in the little town of Avenches. 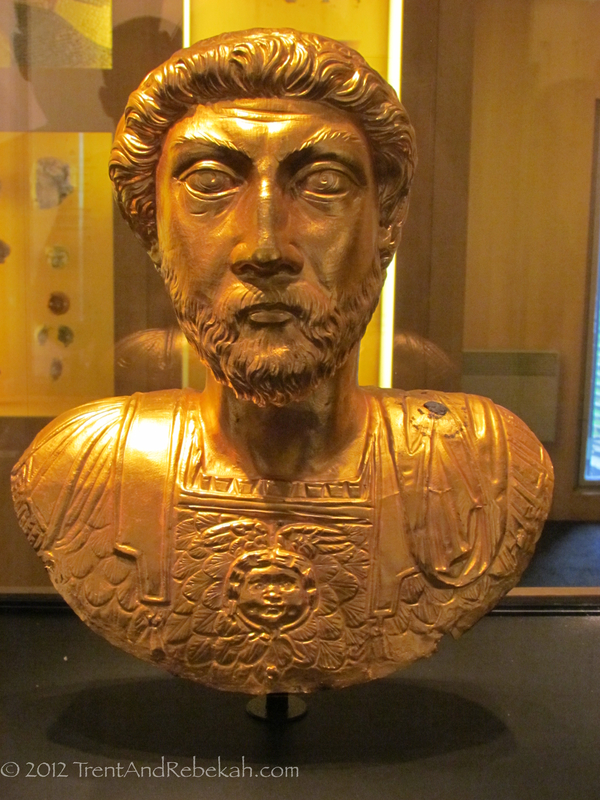 First was the museum, which gave us a great insight into the daily life of “northern Romans.” There were three particularly interesting finds: The gold bust of Marcus Aurelius (ca. 80 AD) from the temple and the remains of a statue of Agrippina the Elder, Augustus’ granddaughter, Tiberius’ adopted granddaughter, Germanicus’ wife, and mother of a den of vipers, including Emperor Caligula (37-41 AD, guy tried to make his horse a consul) and Empress Agrippina the Younger, wife of Claudius and mother of Nero. 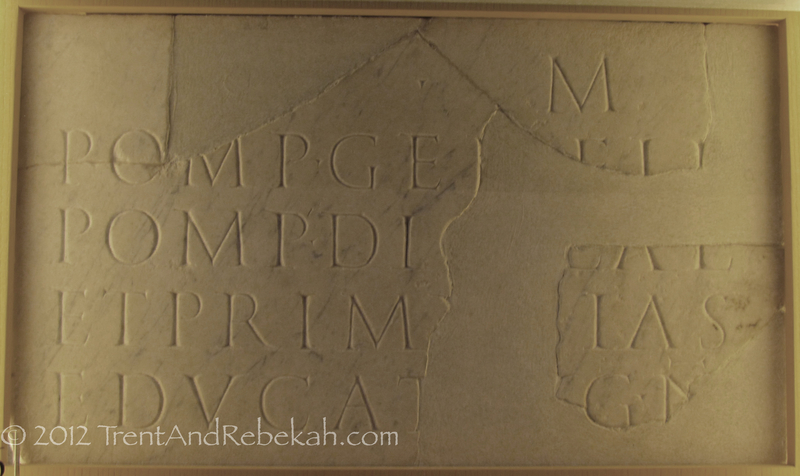 The last is a funerary stele dedicated to Pompeia Gemella,the “educatrix of the emperor.” Many historians believe this “emperor” was none other than Titus, who would go on to level Jerusalem in 70 AD before being crowned emperor. Much of Aventicum’s later success is ascribed to the tender feelings Titus had for his hometown and childhood nurse, Pompeia. To get to the ruins, one must hike through plowed fields and cow pastures. But they are there and are splendid. The watchtower in the wall has been repaired and one of the city’s 5 aqueducts is visible. 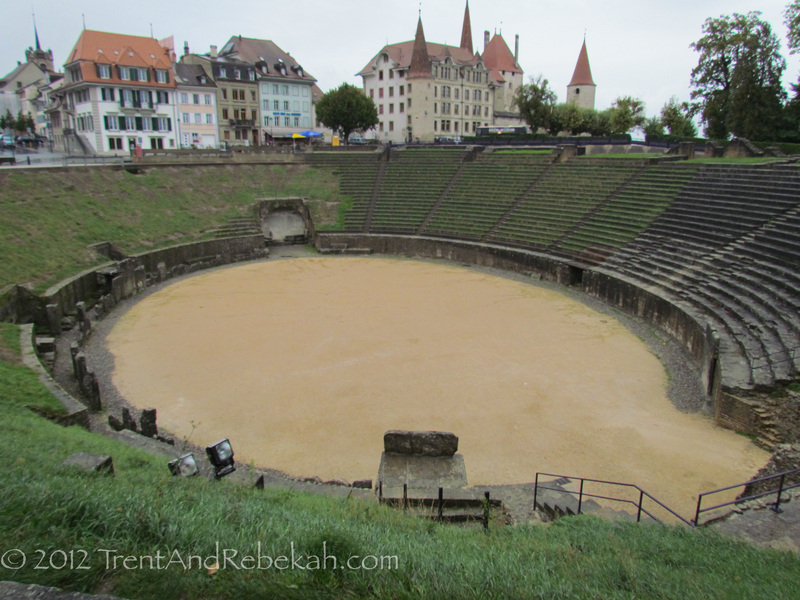 The amphitheater is still used for events, and baths are being excavated and repaired. And if you go on a rainy day, you will leave thoroughly soaked, and completely satisfied from contemplating historic ruins…all by yourself. This entry was posted on October 4, 2012 at 9:44 pm and is filed under Ancient History, Excavations, World History. You can follow any responses to this entry through the RSS 2.0 feed. You can leave a response, or trackback from your own site. I need to go to Switzerland someday. Less than 20 miles from Schwarzenburg where one of my ancestors lived.